This blog is about my hobby, the painting of and tabletop gaming in miniatures. I have not updated this blog since Oct 2016. Now live in Melbourne and painting more than gaming. Let's see where it goes now. New title for blog as of 17 Oct 2017. So I will be altering this to reflect it is not about one club any more over time. World War I Trench warfare project (see projects page). Stephen has started a new WWI project it is very early days on this project but seems interesting, we could play this in conjunction with a WWI Airwar game. I am a gamer and painter of miniatures (10mm, 15mm, 25/28mm), metals & hard plastics. 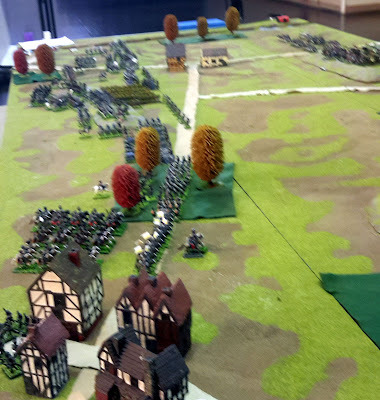 I mostly game in Napoleonic but have started to branch out into AWI, ACW, and 16th century Italian Wars thanks in large part to members at my club who have many varied interests in gaming (as you can see from the club website and blogs). I have played BP, WRG, FoW, AoE, P&S, Pro Patria, Maximillian, DBM, F&F and Naval, all of which I enjoy. It helps to have an understanding wife (the love of my life), who is a writer, poet and therefore needs me to entertain myself.